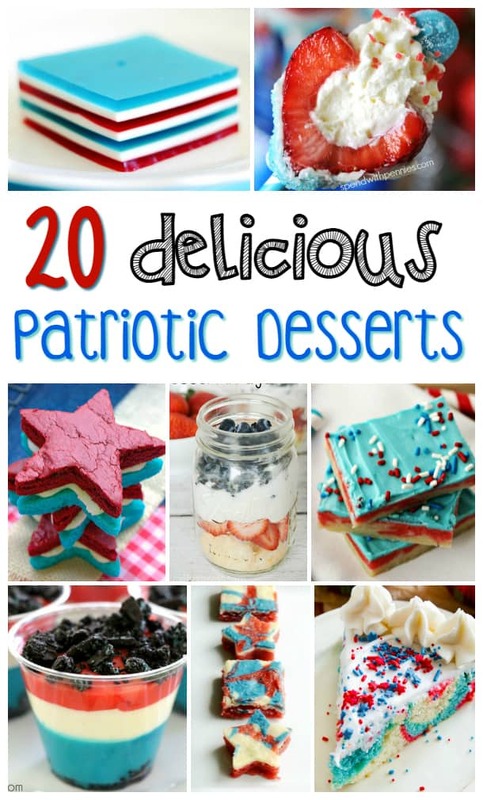 Without further ado, check out this list of 20 patriotic desserts I’ve picked out. There’s something to please everyone! Cakes, parfaits, cheesecake brownies, cheesecake filled strawberries and so many more options! I’m telling you, it all looks so great, I’m seriously thinking of making a couple things so there’s a bit of a selection. Red, white, and blue is the theme in all of these treats, so they’ll be the perfect match to your 4th of July BBQ! There you have it, 20 delicious patriotic desserts of the Fourth of July – or really, any time of year! 🙂 What are your favorite desserts to make for 4th of July? Wonderful ideas here! The 4th of July is such a fun time of year to make special dishes, and now I have some specific recipes to check out. Thanks so much! These are all great ideas. I will have to try the tie dye cake. Great post!